How do you photograph Mari’s World? Tara has set a prompt this week for The Gallery that I think will throw many, myself included. She asked us to express our blogs in a photo! How can I do that? My blog is about my world that would be a hundred and one photos right? So I thought I’d take a photo of the place where I blog. Let me introduce you to my office as such, my creative room which as you will see for yourselves is a complete mess. Why? Well I use the dining room table to set up the lap top which allows the girls to play around me and for me to be hands on when arguments need breaking up, toys start to get thrown across the room and I need to be hands on. This table, which gets cleared for meal times is also used as I get ready my To Do lists, note the Easter gift bags ready to go, a M&S bag containing a shirt I bought for Paul which needs changing, a brown envelope containing an Easter gift for Gracey in Italy (yes, I know I’m late on that one). There’s a notepad beside my PC in case I get inspired and can quickly jot down my thought or if I’m lacking inspiration, I can consult to see what ideas came up on other days. I usually have my camera to hand and now my Kodak camcorder which I’m getting more and more used to these days. I’ve posted my vlogs on You Tube if you’re curious…this link takes you through to my channel! This post was inspired by seeing Karin at Cafe Bebe do a post inviting everyone to post a picture of where they write, I missed out as I spotted it too late but here is where I write and now you know too. If you are curious to see where other people create nip over to the link and have a look. That looks like a special kind of a creative room – loads of fun for the girls. I am glad that I am not the only person who needs a degree of chaos to create my own order! I much prefer a true to life shot that some styled one that belongs in a magazine! Bloggers are real people, that’s what makes it so much fun! Ohhh! I AM proud of all your Easter Crafts (not that I can see them, but it is enough for that you are making them)!! And love the girls doing some sticking at their little table.. I find we can ONLY craft under supervision – else disaster ensues ;-) certainly no time for me at the computer then! I wish I had £20k lying around too… would re do our kitchen/ living room area in a flash!!! Thanks so much for the mention and for the peak into your world! First of all, those girls are gorgeous. Secondly I love the homelife that is shown in that photo! It is lovely to have a special place you sit down to blog. Yours if full of colour and life, just like your blog so a good image. 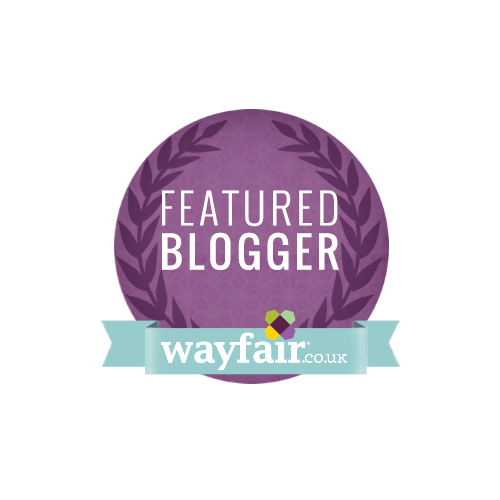 Looks like a fantastic, colourful and chaotic place to blog. Brilliant! Great looking space! Now, do I dare go up and photograph mine? Gorgeous girls. Looks like they are having lots of fun with those crafts.